Laser tattoo removal is the only clinically-proven method of removing a tattoo WITHOUT causing scarring. Newer laser technology can effectively remove a tattoo of different colours through a series of treatment sessions done monthly. The theory is by using focused energy generated by a laser, tattoo ink particle is shattered into smaller tiny particles and can be removed by our own body, through lymphatic drainage systems. In days and week, ink colour will then fade and ultimately leaves the skin cleared of the tattoo. 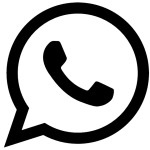 Numbers of sessions is individually assessed, depending on different body parts, size and shape, colours of the tattoo, and this is why every patient need to be consulted and have their tattoo examined first by our doctors in Kuala Lumpur or Petaling Jaya clinic. During each session, the patient will be applied a layer of numbing cream to reduce the discomfort during the procedure. Ice also will be applied to reduce pain as well. Each session may last up to 15 minutes depending on the size of the tattoo. Aftercare includes daily application of lotion and hydrating gel to accelerate healing of skin after each session. Tattoo will slowly fade over weeks after multiple sessions. During this period of time, if the tattoo is over a sun-exposed area, the patient will be advised to apply sunscreen. 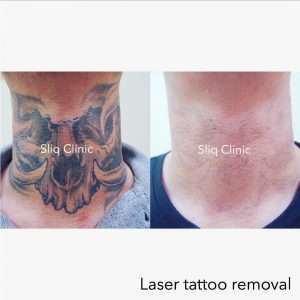 Why Choose Sliq Clinic for Tattoo Removal? At Sliq Clinic, we are using FDA approved laser system from the USA, the Cynosure Conbio Medlite C6 and Revlite laser. With FDA approved equipment like these, you can be assured of results and safety. Both of our clinics at Kuala Lumpur and Petaling Jaya uses Revlite and Medlite machine, which is top of the class in removing tattoo of variety colors. It is safe for most skin types and doesn’t cause any scar due to it’s proven extensive medical research. These are gold standard treatment widely used in many parts of the world as tattoo removal laser due to its safety profile and effective results. This laser is also commonly used to treat pigmentary skin disorder and also used to rejuvenate aging skin. Ready For Your Tattoo Removal? Book a Consultation With Our Doctor Today!